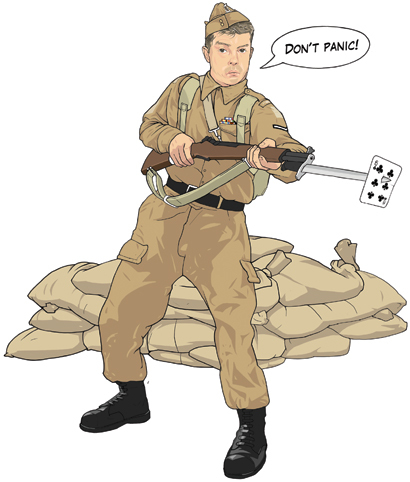 Poker Player magazine commissioned this portrait of columnist Nick Wealthall (in the style of Lance-Corporal Jones) about the importance of keeping calm under pressure. Against all odds Nick holds up the six clubs for a winning straight. Art direction by Marc Southey for Dennis Publishing.